There are more than 60 public swimming pools where, for a small fee, you can mitigate the effects our summer triple-digit heat and have some outdoor fun. But what happens after Labor Day? One of the advantages to living in one of those big, master-planned communities is that often they allow residents to swim all year long. Some communities even have full-blown aquatic centers! If you don't live in one of those communities, though, you can't use the facilities unless you are an approved guest of a resident. Most of the public pools in the Phoenix area close for the season shortly after school starts, which is in August. If you love to swim all year long, and you don't have your own pool or you are visiting and not staying at one of our fantastic resorts, where can you swim? Thankfully, there are some options. 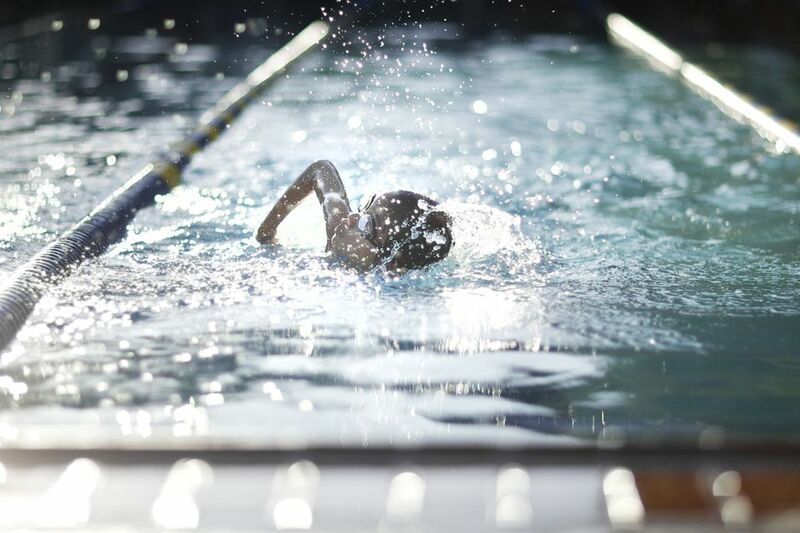 In Chandler: There are two aquatic centers, Hamilton (Southwest Chandler) and Mesquite (Southeast Chandler) that offer year-round lap swimming mornings and evenings. They are outdoors, but the water is heated. Find these pools on a map and get the details about hours and fees. In Tempe: The Kiwanis Wave Pool (closed for renovation until January 2019) is an indoor heated pool with a 6-lane lap pool. Find this pool on a map and get the details about hours and fees. In Mesa: The Kino Aquatic Center (Central Mesa) offers lap swimming, as does Skyline (East Mesa). Find these pools on a map and get the details about hours and fees. In Scottsdale: There are three pools that are open in the fall and winter. They are the Cactus Aquatic & Fitness Center (North Central Scottsdale), the Eldorado Aquatic & Fitness Center (South Scottsdale) and the McDowell Mountain Ranch Aquatic & Fitness Center (North Scottsdale). Find these pools on a map and get the details about hours and fees. In Glendale: The pool at the Foothills Aquatic center is outdoors and heated. You must be 13 or over for lap swimming. Find these pools on a map and get the details about hours and fees. In Maricopa: The outdoor heated pool at Copper Sky Aqauatic Center is available for lap swim all year long. Find this pool on a map and get the details about hours and fees. Valley-wide: The Valley of the Sun YMCA has about 15 locations in Greater Phoenix with swim programs for adults. As far as I know, all the municipal facilities allow nonresidents to swim, but the fee is usually higher. All of them have daily rates and sometimes you can buy passes for longer periods of time. This list relates to lap swimming. Most of these aquatic centers do not have the other amenities open in the fall/winter, so don't expect water slides, surfing or other activities to be available. Because of number (2) above, I would check with the pool before bringing children. Some of the facilities mentioned here have age requirements for lap swimming. The only indoor public swimming pool in the Greater Phoenix area is in Tempe at Kiwanis Park. If it's an indoor pool that you require, and Tempe is not convenient, you'll probably have to join a private club. You might find that some local fitness clubs offer indoor lap swimming. If you are visiting, and you have a membership with a health club at home, check to see if there are any of those clubs here or clubs with reciprocal access, that you can use. Otherwise, be prepared to sign up for a membership or go through the process (including a sales pitch) for a free trial membership. Looking for a place where you can swim and also bring the kids? While we have three water parks in the area, they are not open all year long. Looking for a lake where you can swim? Within an hour or two of the Phoenix area, there are several lakes.